Is there any woman over seventy who didn’t at one time in her life have a crush on Robert Redford? Fest up, I can’t be the only one. Heck, even my husband had a crush on him since the days of Redford playing the ‘Kid’ in Butch Cassidy and the Sundance Kid. Since that film was released in 1969 I must have seen it thirty times and I regret that I didn’t think to play our VCR tape for Don in his post stroke years. Anyway, Monday two of my Gathering Girls pals and I went to see The Old Man with a Gun, Redford’s newest flick. If you happen to see it, watch for a line where his character says he’s never ridden a horse. The close up of his twinkling eyes, according to one reviewer, is supposed to be an insiders’ joke to those of us who remember that wild horse ride Butch and The Kid took that ended with them going over a high cliff, plunging down into a river below and Paul Newman asking Robert Redford if he can swim as they were falling. Imdb.com sums up the storyline of The Old Man with a Gun like this: “Based on the true story of Forrest Tucker (Robert Redford), from his audacious escape from San Quentin at the age of 70 to an unprecedented string of heists that confounded authorities and enchanted the public. Wrapped up in the pursuit are detective John Hunt (Casey Affleck), who becomes captivated with Forrest's commitment to his craft, and a woman (Sissy Spacek), who loves him in spite of his chosen profession.” I must say Redford (82) looked a tad too old to be playing a 70 year old man. It's pretty obvious he hasn't spent a lot of time in surgeon's offices getting vanity procedures and I admire that in Hollywood stars. But when I get as wrinkled as he is in the photo up above I'll be sleeping with a Preparation H face mask. The review at RogerEbert.com calls The Old Man with a Gun “a love letter to a cinematic legend, serving as a perfect final film for someone who long ago surpassed mere actor status to become an icon.” At his age I guess Redford’s got the right to claim this will be his last movie. He doesn’t need to work to keep the wolves from his door and he’s always had a knack for picking films that fit his acting range and personality. Seven of his movies are on my list of 50 favorite films: All the President’s Men, Out of Africa, The Natural, Butch Cassidy and the Sundance Kid, The Way we Were and two movies that Redford directed: The Legend of Bagger Vance, starring Will Smith and Matt Damon and A River Runs Through it starring a young Brad Pitt. These last two are among my top five favorite movies of all time. Post script: If you don't have time or desire to leave a comment please consider checking one of the 'reaction' squares directly below. yes, I am breathing and therefore I too had a crush on early Redford. Of late I have not enjoyed his movies. I saw the previews of this while at the movies and Rick said, "this looks good but his movies do go on too long" So it made me laugh when you said others said the same thing. I still wish to see it. I like the cast. And on CBS Sunday Morning Redford said it was his last acting in a movie. So there is that. This movie was only 1 hour 33 minutes but there is a point where it turns kind of dark and slow, then it picks up again. I read somewhere that the wrote four drafts of how to tell the story, knowing Redford would be playing it and then they decided to tell the story the way Forrest saw himself because that would give Redford a better "meat" for his strong points. I'm sorry Jean, I didn't have a crush on Redford ( Ha,ha,ha. ) but I did enjoy his movies. It's amazing how people can do such great things at older ages. Maybe that gives us great future. Have a great day Jean and I hope you enjoyed election day. See ya. I'll bet you wouldn't admit it if you did. But Mary Lou would. I'm relieved the House turned blue. I wish we would have picked up more senators but do think we have more checks and balances now with the House turning. I happy my state governor turned blue and that Debbie Stabenow is still my senator. I've loved me some RR since Barefoot in the Park. I looked at his IMDb, and he was in a Maverick, Naked City, Route 66, The Twilight Zone, etc. Remember those shows? He was so beautiful when he was young, but didn't age so well. He has fair skin and spent a lot of time in the sun. I feel his pain. I still enjoy him. Thanks for the review. I seldom go to the theater, but I will watch for it to arrive on NETFLIX or HBO, etc. First I saw him was in The Chase with Brando and Jane Fonda. I normally am not attracted to blonde men but he was so cute in that one. I didn't know the movie was about a real person. That intrigues me more. Will wait for the DVD. No theaters in tiny town Ar. I'm not attracted to blondes either! I don't recall The Chase but I'm sure I probably saw it. At the end of the movie they did short clips of all of Forrest's escapes from prison and some were really clever. Cannot wait to see this movie. Okay, tell me how you got the little squares at the bottom of the blog. Quick! It took me FOREVER of googling how to find them. Most of the directions I found didn't fit what my blog dashboard looked like. But here is what I had to do: Go to the dashboard, find layout then look for the 'blog post' section in the middle and within that square is a tiny 'edit' in the far right corner. Click it and then scroll down to find "reactions" You can type in your own reactions and I just copied what Facebook uses. Yep! Big time crush. But I lean toward blond hair and blue eyes ... to carry on my strain! I like the icons at the bottom ... now I can "click" then when I have a moment, put in my two cents worth! The icons are so faint and hard to see and I don't see a way to change that. I think more bloggers and blog users would use them if they could see them! Never had a crush on Robert Redford, but I did like some of his movies. Now James Garner--he really did it for me plus I loved his politics. Living in a red state, I do envy those who picked up Democrats in the house. We did, however, replace several GOP state representatives. James Garner made some good movies and I like him on TV. I didn't know he was involved in politics. Learn something new every day. I think I would love this movie!! You probably would if nothing more than the farm in the movie. Sissy Spacey's character owned a farm and a lot of scenes were set. I've read that the character is the closest to her own personality and life-style that she's ever played. I have always been a fan of the very handsome Robert Redford too, and he still looks good to me! Anyway, better to age naturally than have "work" done as it often doesn't look so good. Will definitely go see the movie when it comes here. Thanks for the review. I'm glad he got a role that he liked enough do. His fans will not be disappointed. Don't forget "The Sting." And while it wasn't a great movie he was downright dazzling eye candy in The Great Gatsby! Every now and then I'll see him in an old Perry Mason (OK, all Perry Mason episodes are old). And "Barefoot in the Park." He just had "it." Has "it." Blogger isn't sending me comments again and I know you are no-reply anyway, but I just wanted to thank you for coming over, catching up and leaving great words on Marmelade Gypsy! They mean a lot! He's played some great parts, hasn't he. 'Barefoot in the Park' was probably the first time he really caught my attention. My husband loved the "The Sting." I'm confused by what you mean about being "no-reply" but that's okay. I'm often confused. Oh, I'll bet you mean I don't get an email when someone replies to a comment I left. I do come back and check in a few days and check manually though. I think I'm a bit younger than you (I'm 59), but I have had a crush on RR for a long time. Can't recall when I first saw him--maybe The Great Gatsby--but I definitely sought him out when he was at his peak making movies. Brad Pitt was often mentioned as a sort of Robert Redford 2.0. You are younger, darn it! I love Brad Pitt too but I don't think he is aging as well. Both very talented actors. Our Souls at Night? I haven't seen that one. Here I am, trying to get caught up with my blog reading at last, and the first thing I find out is that I have a lot more catching up to do. 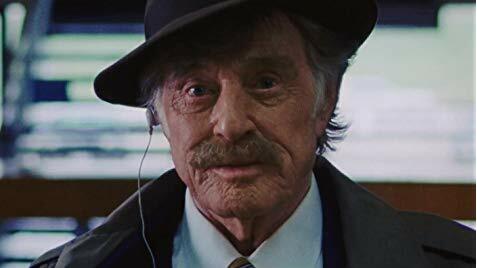 Not only did I never have a crush on Robert Redford, if you asked me which films he starred in, I couldn't have told you a single one, unless you offered a memory nudge. Finally, Butch Cassidy and the Sundance Kid came to mind, and that made me think of the Sundance Film Festival (duh!) but that took me even farther back to Sundance, the company. Back in the day, their jewelry was different than it is now, and I have a necklace, a pair of earrings, and two bracelets from Sundance. The earrings and bracelets are gaspeite, a beautiful sort of lime green stone, set in sterling. I love them. It irritates me no end that I haven't figured out a way to take them with me, as the saying goes. Robert Redford was the brain-child for The Sundance Film Festival and its founder. His legacy there will last far longer than any of his movies. His Redford Center is super involved in environmental issues. In order words, he's used his wealthy for good causes. Isn't it great to own something that you truly love enough to want to take them with you when you go. You'll have to be sure the set get mentioned in your will. The best part is you could break it up and honor three special people in your life. P.S. I just read the 'our story' link at Sundance, the Company. It seems Redford is involved in that as well. The movie sounds interesting. Guess I’m one of those rare birds that can enjoy movies longer than 1 1/2-2 hours if they have well-developed characters, storylines and are well-written with actors capable of inhabiting the people they create well — more like stage plays — what it takes to tell a good story with some depth. I haven’t had crushes per se on actors but have liked some more than others based on their acting skills that I would like to have been able to be in a play with — leftover feelings from my amateur “ham” days acting and directing. Paul Newman being one and Redford another when I first saw him in a Twiilight Zone — death, as I recall, come to visit an old lady. Redford has been a Trustee at one of our local colleges in the Claremont Consortium. I regularly drive past an area on Route 66/Foothill Blvd named by friends of his in his honor, dedicated to environmental research and sustainability given his interests. I took a quick look at him on Wikipedia and note he did a movie in 2004, The Clearing, with Helen Mirren I’d like to see, that sounds offbeat, though I don’t recall hearing much about it. I remember when movies were so long they had intermission half way through. I like longer movies, too. But I wouldn't have liked this one to be longer. He robbed banks, they caught him. Not much else to tell. I can't have a crush on a famous actor unless I respect the way they live off camera. Redford fit the bill in that respect. The Twilight Zone started a lot of careers off, didn't it. I don't remember hearing about the movie you mentioned in the last paragraph. With those two powerhouses in the lead it would have to be good.